Blue Springs Polo School and Blue Springs Riding Centre are owned and operated by Mark Donald, polo player, equestrian coach and equine enthusiast. Blue Springs Polo School is a modern, purpose built polo school boasting top class polo facilities, including full size playing field, expert tuition, exceptional polo ponies to suit all player levels and an experienced team of equestrian professionals. 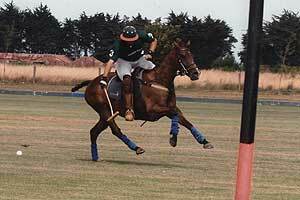 Situated amidst the lush rural surrounds of North Canterbury in the stunning South Island of New Zealand, the polo school was designed and developed by Mark Donald to provide local and international polo enthusiasts easy access to top polo teaching facilities, ponies and tuition. Blue Springs Polo School continues to proudly promote the game of polo to an international audience of adults and children, whilst encouraging new players in a welcoming and safe environment. With over 30 years experience in the breaking-in, training, riding and selling of horses and ponies for all equestrian disciplines, Mark has enjoyed a successful career in a variety of equestrian sports, including polo, showjumping, showing and as owner and/or trainer of racehorses. With so much experience and knowledge, Mark knows what attributes and training a horse will require for a certain discipline and successfully provides the training of horses and ponies to suit these specific requirements. Completely dedicated to playing and teaching polo, Mark has been playing polo for over 20 years and teaching for around 15 of those years, therefore it is safe to summarise that Mark ‘lives and breathes’ the game of polo. Mark’s enthusiasm and passion for horses has no boundaries! Mark can be seen in the show ring as his daughters ‘assistant’, or hollering in the stands as his racehorse enters the homeward straight, or on the polo field exuding encouragement for beginner polo players of all ages! 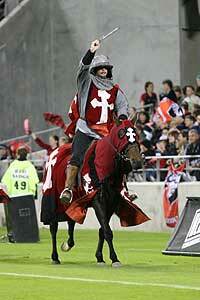 Mark is also a familiar ‘crusader’ for the internationally renowned Canterbury Crusaders rugby team. During the Super 14 rugby season you will find Mark galloping around Jade Stadium before each home game! It is truly a breath-taking sight to watch these agile horses and their riders decked out in full crusader costumes, galloping under the night-lights to the deafening cheer of the home crowd. 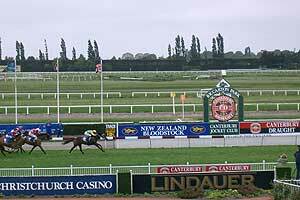 The atmosphere becomes electric when the horses gallop onto the field! Mark supplies the horses and riders for each Crusader home game and is often hosting local and international television crews at Blue Springs - keen to catch a glimpse of the Crusader horses ‘off-duty’ before a big game. Blue Springs Riding Centre is located close to Rangiora and offers riding and jumping lessons to suit all ages and abilities. 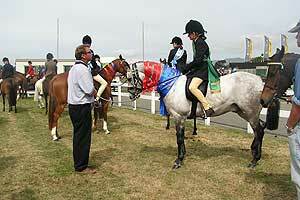 Experienced horses and ponies are provided along with expert tuition for beginner to advanced riders. The riding centre has riding and jumping arena’s and is a great place for adults returning to riding and seeking professional instruction to assist with confidence issues, or children keen to develop their equestrian skills.